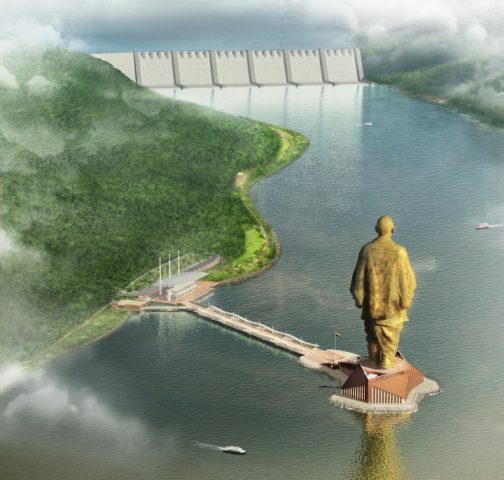 India Is Building the World’s Tallest Statue #ArtTuesday « Adafruit Industries – Makers, hackers, artists, designers and engineers! Envisioned to rise nearly 600-feet-tall, the Unity Statue will be twice the height of the Statue of Liberty. The project was conceived of nearly a decade ago by Prime Minister Nahendra Modi, who was then Gujarat’s chief minister. The figure, designed to appear stoic, with his head held high and arms by his sides, is the vision of Indian sculptor Ram V. Sutar. Its design and construction is now being realized by a multi-firm consortium that includes Michael Graves Architecture & Design (MGA&D) and Turner Construction, which previously developed the Burj Khalifa, the tallest building in the world. The project’s total cost: 2,989 crore rupees, or $460 million US. 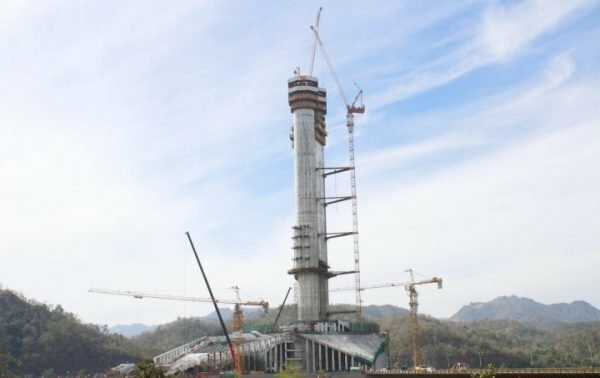 In February, MGA&D announced that the team had hit a major milestone in the construction process, with the completion of the statue’s main structural support of twin concrete cores. Built around these will be steel scaffolding, to serve as a support system for the statue’s outermost surface, which will consist of a series of cast bronze panels.